In the past, The CW has tried to get the jump on the other networks by premiering some of their shows earlier than the rest. As a result, since they weren’t ordering bigger seasons, viewers were “treated” to more reruns during the season. As previously announced, The CW will kick off its Fall schedule later than usual this year. Hart of Dixie starts the CW season on October 2nd. Their returning shows are Hart of Dixie, Supernatural, 90210, Gossip Girl (final season), and The Vampire Diaries. New TV series are Arrow, Beauty and the Beast, and Emily Owens, M.D. Read the full premiere schedule below. 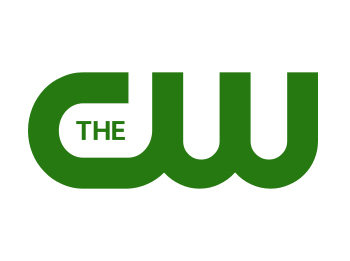 June 28, 2012 (Burbank, CA) – The CW Network will strategically roll-out its 2012-13 season this October with the premieres of three new series, returning favorites on new nights and one final season of Upper East Side drama. The CW’s newly revamped Wednesday kicks off on October 3 with The Winchester boys and the season premiere of SUPERNATURAL (9:00-10:00 p.m. ET). On Thursdays, The CW’s top-rated series, THE VAMPIRE DIARIES, returns for another season of bloody-good drama on October 11 (8:00-9:00 p.m. ET), followed by the romantic new series BEAUTY AND THE BEAST (9:00-10:00 p.m. ET), starring Kristin Kreuk as a homicide detective and Jay Ryan as a doctor with a very dark side. Maggie Q returns to action as NIKITA, Friday, October 19 (9:00-10:00 p.m. ET) following AMERICA’S NEXT TOP MODEL: COLLEGE EDITION, which premieres on August 24, as previously announced. What do you think? Do you think the network’s plan to premiere their shows later in the season is a smart one? Is it worth it to have fewer repeats during the season? More about: 90210 (2008), 90210 (2008): canceled or renewed?, Arrow, Arrow: canceled or renewed?, Beauty and the Beast (2012), Beauty and the Beast (2012): canceled or renewed?, Emily Owens MD, Emily Owens MD: canceled or renewed?, Gossip Girl, Gossip Girl: canceled or renewed?, Hart of Dixie, Hart of Dixie: canceled or renewed?, Supernatural, Supernatural: canceled or renewed?, The Vampire Diaries, The Vampire Diaries: canceled or renewed? on the CW but have fell in love with Cat & Vincent !!! I am super excited about the WB show, “Beauty And The Beast”. I loved “Ringer” and “The Secret Circle”! With those gone (which was not a smart decision) I will only be tuning in for “Supernatural”! I wouldn’t bother to watch a new show on The CW for all the money in the world – appartently all good things must end before their time on this station! One theory I have, I like never ever see any CW shows advertised anywhere. I mean like nothing, so ‘m positive that canceling Ringer and The Secret Circle did NOT help at all. Maybe-MAYBE-the CW is at last gonna air some scripted series that people will watch, and return positive feedback about. Their reality shows, ANTM excluded, are among the worst of any national net, in a genre that stinx anyway. I hope to see a better selection of shows available across the board, and I’ll certainly give these new CW shows at least a sampling of several eps. I hope many other people do so as well.